Imagine the number of productions of Hamlet that have been performed since 1599 when Richard Burbage first uttered “to be or not to be” on the newly constructed Globe Stage. I doubt there has been a single year since then when this great tragedy has not been on the boards. Hamlet’s character has taken on a life of its own as critics and students have debated his mysterious motives down through the ages. Even so, Shakespeare probably would have been shocked to hear that his play might achieve immortality. He had written Hamlet to be performed in a particular time and place. 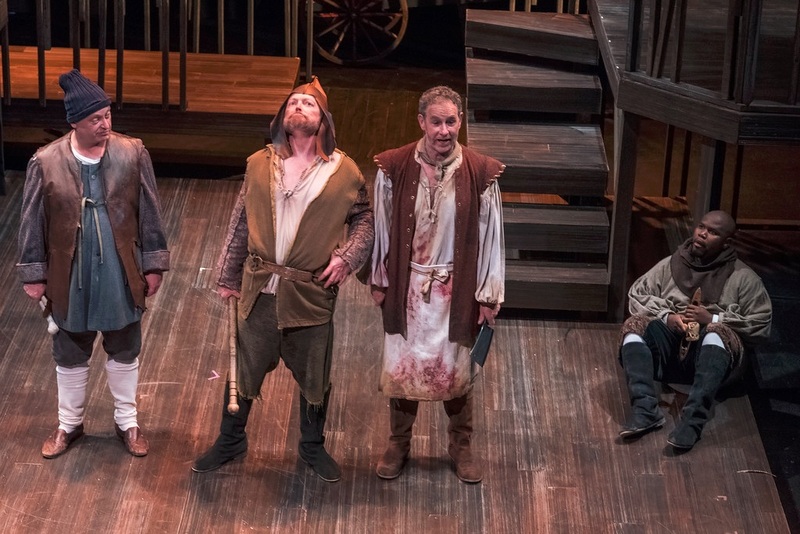 Before the Elizabethan era, theatre was regarded simply as entertainment, and the playwright exercised a decidedly subordinate role to the actors and the theatre owner in the production process. (There was no such thing as a director until the late nineteenth century.) There was little to no money to be made publishing plays, and playing companies were averse to distributing scripts. Performance was paramount, and little thought was given to even the notion of a ‘playwright’. These writers were ‘poets’ who supplied the raw material for an aristocratic entertainment. 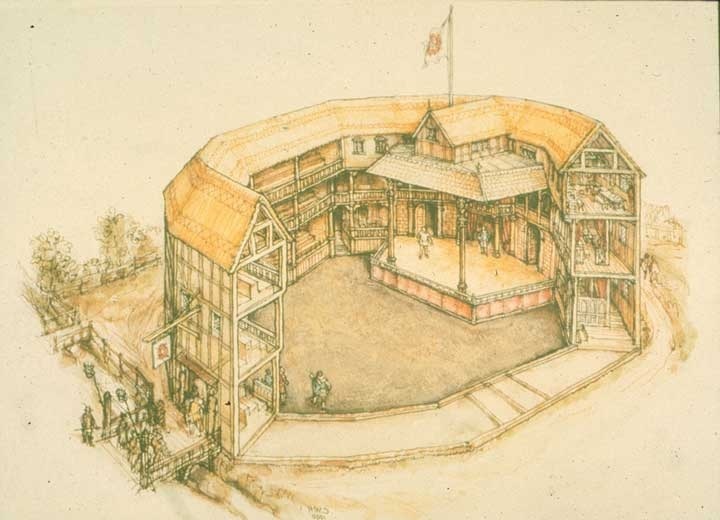 But something wonderful happened to London theatre in the late 1580’s which started to change everything. The phenomenal growth of a young, urban market, the widespread growth in public literacy, the political taste for spectacle and elaborate wordplay, and the school systems’ emphasis on rhetoric: all these contingencies created a sudden and highly competitive market for new plays. Every player in the country yearned to perform in London. Rather than constantly traveling, you could have a permanent home. If you had the talent to rise in the business, you might find yourself a shareholder in the company’s business and earn a percentage of the company’s profits. Fortunes could be made! 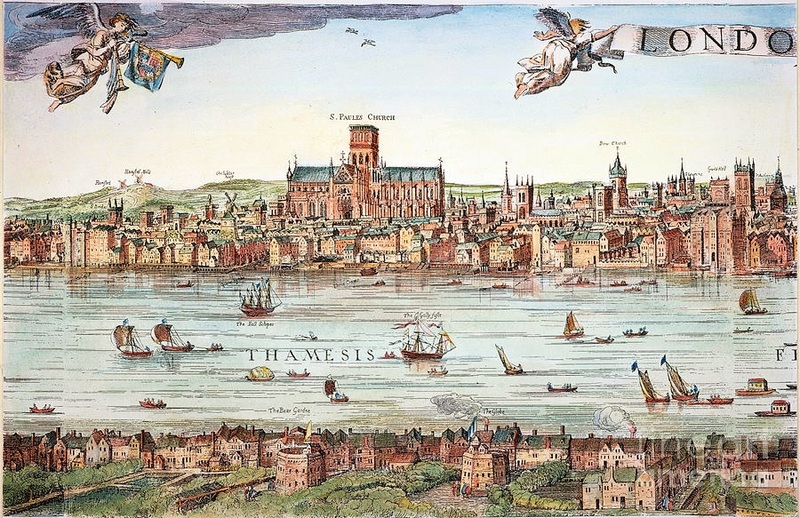 London also drew many young intellectuals who, newly graduated from Oxford and Cambridge, flocked to the city to try their hands at writing for the stage. The invention of the modern playhouse and the huge popularity of this new form of entertainment had created a sudden demand for new plays, and just as suddenly playwrights found themselves earning money and respect. Marlowe seems in many ways to be Shakespeare’s twin: he had been born in the same year (1564) and was the son of a commoner, a Canterbury shoemaker. Marlowe had also been a brilliant student, only Marlowe had been given the opportunity to go to Cambridge that Shakespeare had been denied. 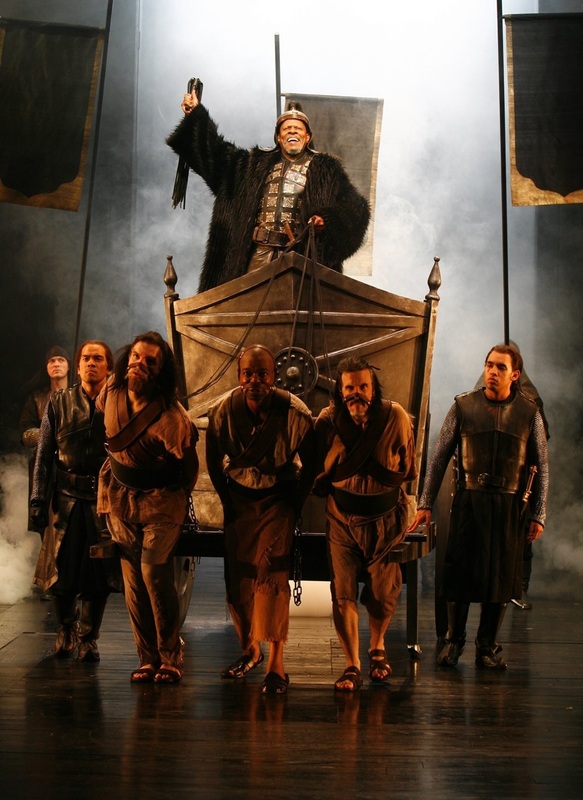 In the late 1580’s Marlowe electrified the London stage with a production for the Lord Admiral’s Men at the Rose Theatre on the Southbank that he had written as a college student: Tamburlaine the Great. Holla, ye pamper'd jades of Asia! Than you by this unconquer'd arm of mine. To an uncanny degree, Marlowe exemplified Tamburlaine’s creed in his own life. He was a boaster who could make good on his most outrageous vaunts. He was a violent man, frequently involved in street brawls and once acquitted of murder on a claim of self-defense. He was openly gay in a culture which tolerated homosexuality in private but vilified those who loved openly. Most dangerously, Marlowe also served as a double agent in the lethal conflict between Protestants and Catholics, traveling frequently to the continent to flush out plans to topple the throne. It was Marlowe’s knowledge of important state secrets that may have finally convinced Elizabeth’s secret police to have him murdered. During his brief career, Marlowe followed Tamburlaine with Doctor Faustus, The Jew of Malta, and Edward II, all masterpieces that still hold the stage, but his life was cut short in 1593 at the age of 29. He died in a Deptford inn, stabbed in the eye, reportedly during an argument over a dinner bill. At least that was the official story. Shakespeare would learn much from his astonishing predecessor, much about the art of playwriting and the business of theatre but more still about the vital importance of keeping his own political opinions private in a police state. 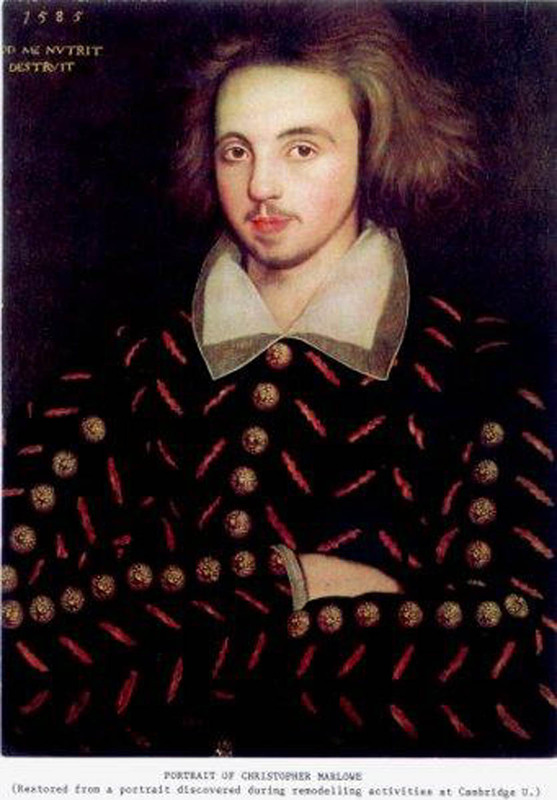 Marlowe may have inspired Shakespeare to become a playwright. Shakespeare’s first plays include a cycle about the War of the Roses (the English Civil War of the 15th century) to which Marlowe may have contributed significant passages. Together the two invented the History Play, a genre of drama which dramatized famous events from a time past whose connections to the present could be explored. 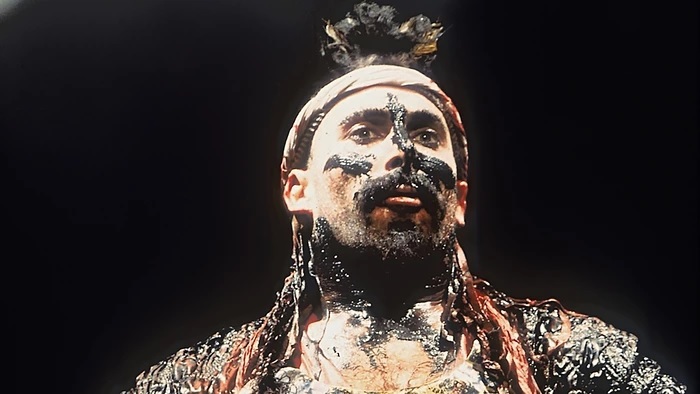 Marlowe’s Tamburlaine looked at the Elizabethan era through an exotic lens, and its central character seemed to encourage the London audience to find the courage to seize power without moral compunction. In Henry VI, part II, Shakespeare actually staged a revolution in the heart of the city, but his moral was far different. In 1450 Jack Cade led an army of peasants, laborers and shopkeepers into London and briefly took power. One of his followers uttered the immortal line, “First thing we do is kill all the lawyers.” Eventually, anyone who can read will be targeted by the mob. Shakespeare depicted the vaunting ambition celebrated by Marlowe as chaotic anarchy, but these scenes are clearly the best in the play, and we sympathize with Cade as well as revile him. From the outset, Shakespeare understood how to create more compelling drama than Marlowe by depicting the contradictions of his characters. Jack Cade can be seen as a hero and as a villain. Through the use of deft irony, Shakespeare not only heightens the complexity of his characterizations and the conflicts in the action, but he gives himself political cover. By presenting both the radical and the conservative interpretations of any given situation, he could explore the most controversial topics without fearing Marlowe’s fate.